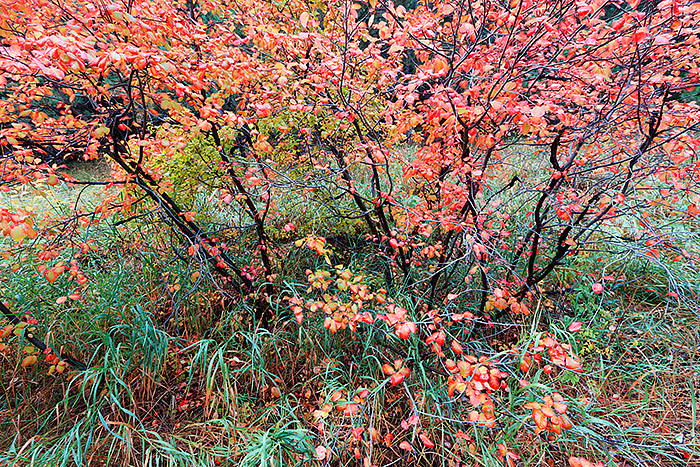 Deep within the confines of Gregory Canyon high above Boulder's famous Chautauqua Park the underbrush take on a vibrant autumn hues of red and yellow. A light rain is misting down on Gregory Canyon and the diffused light brings to life the brilliant colors of red, yellow and green. Photo © copyright by Thomas Mangan.